Who's naming these movies? I think the title department at Sony has a vendetta with Seagal. That has to be the only reason - all of Seagal's titles sound like his present weight condition. Out Of Reach (2004)?....for a sandwich. Today You Die (2005)? Just add a T at the end of the title. Submerged? ....In fat. Okay, I'll stop. But it's so addictive. Seagal could stand to lose a few pounds. He's wearing muumuus now. He's wearing freakin' muumuus! Take a look at the picture on the bottom of the page. Belly Of The Beast has a bad title, but it's an entertaining movie. "Jake Hopper's" (Seagal) daughter is vacationing in Thailand when she is kidnapped by Islamic terrorists. Now Jake has to find her and stop the madness within. 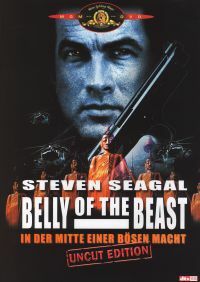 What's good about Belly of the Beast is that it looks like Seagal cares about this particular outing. He puts a lot of effort into the fight scenes. He's using wires and a stunt double, but he's trying. 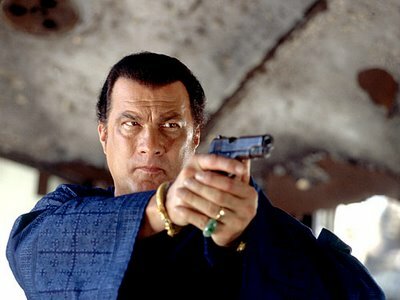 Seagal as an actor? He needs improvement, but who watches his movies for the character development and dialogue? You can't hear what he's saying anyway. You need closed captioning and even that doesn't work sometimes. Belly Of The Beast is junky fun at its finest. OK, I'll be damned, but this title is a 10/10 for me. It is seriously one of my dearest Seagal flicks. It's so over-the-top hilarious... like... WOW! Love it to death! Agreed! Seagal was great in this.